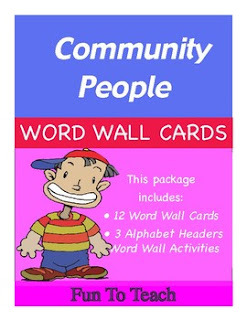 Use these to teach Community People vocabulary, during reading centers, use in wall charts or posted on the wall. You can even cut off the word and have the student match the word to the picture. Thank you for downloading this product!